Set of 3 reusable incontinence pads protect clothes and save money. 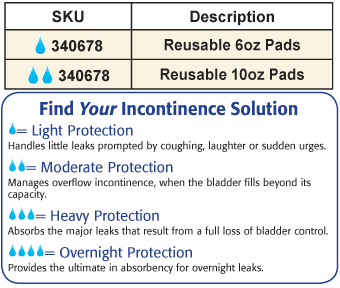 Cloth incontinence pads have polyester/cotton cover and non-slip, waterproof vinyl bottom. Machine-washable. 10 1/2" x 4 1/2". USA. Where are the maintenance instructions? I ordered these but it does not tell me about temperature of water (hot or cold)? .... machine or hand wash? ... dryer or hang to dry? ... life of product? i already had 3 pads. now i will have 6 pads which works better for doing laundry only once per week. trying to find something to replace the one I use to get. they don't stand up like they use to. I find these very useful, easy to keep clean by simply spot spraying any stains and washing, and valuable in removing the need to constantly buy 'light days pads' from the store. Saves money and much more hygenic. These pads are great for any minor leakage that might occur at any time. I think these will work for me. Waiting on delivery of previous order. This is the first time to try these. But I chose them because they are reusable and hopefully will save my mom some money. To use over night as I can't always make it to the bathroom. Save money instead of buying the throw aways. Will write more when I have the opportunity to use them. These do not work for me. It doesn't come off easily when I am in a hurry. More items that I needed were in this catalog. BEST ANSWER: Thank you for your question. 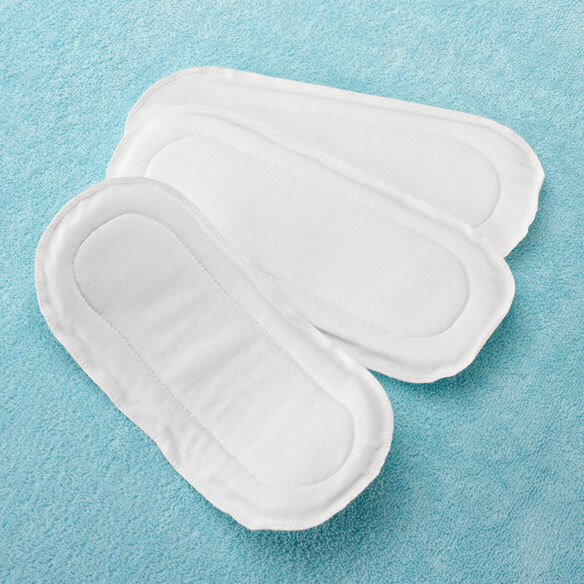 The pads are made for women, but men may be able to use them. It will depend on comfortability for them. We hope this information will be of help to you. I think they are. However, my husband doesn't want to use them. BEST ANSWER: Thank you for your question. This item lasts up to 200 washings. We hope this information will be of help to you. I've been using them daily for more than a year, and they show no signs of expiring. They are just fabric pads. Any gender can use them. Wash first and dry without dryer sheets to make more absorbant.